We have a new project on the radar :-) Together with Swiss photographer and climber Stephan Wiesner (http://www.fotograf-bern.net/) we are developing a CAMSLINGER especially for outdoor active photographers like climbers, hikers, bikers etc. If all went fine, we'd start a crowd-funding in September. 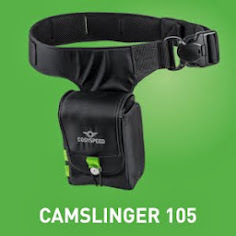 The main benefit of CAMSLINGER bags is the quick and 100% single-handed access to your cam. For many outdoor active photographers this could be a deal breaking advantage. Furthermore we had mirrorless cameras in focus, but a CAMSLINGER fits also DSLRs or Superzooms. You can wear it at the hip or over your shoulder. We would be super happy if you could support our project with your ideas and suggestions!!! If you have any ideas, please leave a comment below this post. MANY THANKS!!! !